Technical Visits, Expo & Meetings - Exposições - Congressos - Intersolo Engenharia Ltda. It is a high priority at Intersolo to maintain our technical team constantly updated with the newest developments in the Geotechnical and Geoenvironmental field, both in Brazil and abroad. Therefore, besides being actively present in all Brazilian Foundation Seminars and Soil Mechanics Conferences our Engineers are constantly visiting similar companies, equipment suppliers and technical meetings outside Brazil. 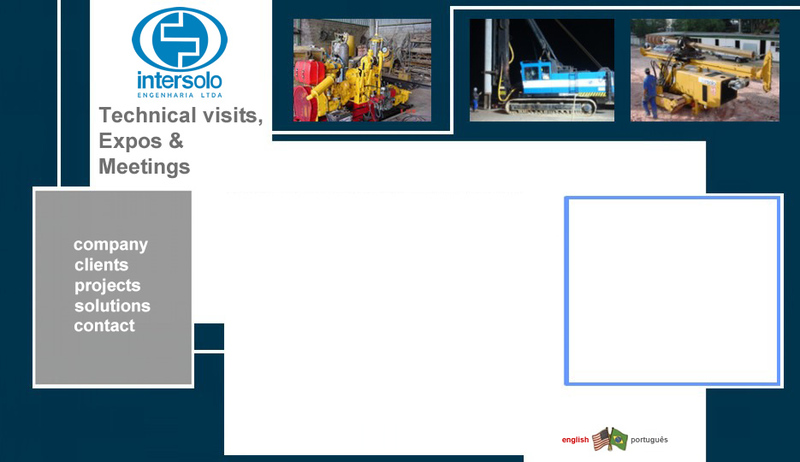 As a direct reflection on our pile-driving department, Intersolo pushed the edge on Brazilian Geotechnical technology by acquiring in 2006 its first Hydraulic Pile-Driving Rig with an Accelerated Hammer from Finland´s Junttan – one of the most solid names in the business. A result of over two years researching markets in the United States and Europe, that first rig was equipped with the latest technology in pile-driving equipment. The success of this machine led Intersolo to acquire a second, larger Junttan rig which arrived late 2008. Since then, our board members have been at job sites such as Barcelona´s TGV Central Station, a variety of specialty foundation job sites in England within the KELLER Group, and several bridge pile foundations employing the Displacement Pile in Italy. In touch with the ever-growing demand for subsoil environmental analysis, Intersolo is also investing in bringing high-quality technical solutions for Geoenvironmental issues.In this sense, our senior consultant spent years in the United States acquiring experience in the remediation business while obtaining a MS on Geoenvironmental Engineering with some of the most recognized personnel in the field, both academically and in the industry.